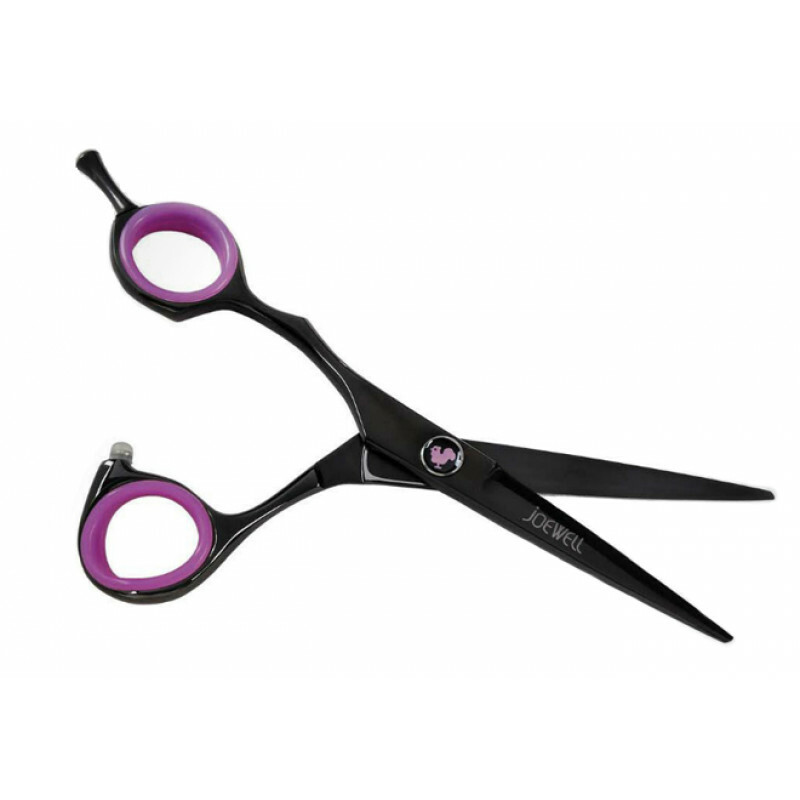 Made from stainless steel and coated in Jet Black, the stylish XO Lefty hair shears are great for left-handed cutting. The offset handle design easily fits into the hand so the wrist, elbow, and shoulder can relax when operating the scissors. The flat screw does not interfere with the cut when using a comb and can easily be adjusted with a penny or a dime.